Do you get nervous when you have to speak in public? Toastmasters can help. 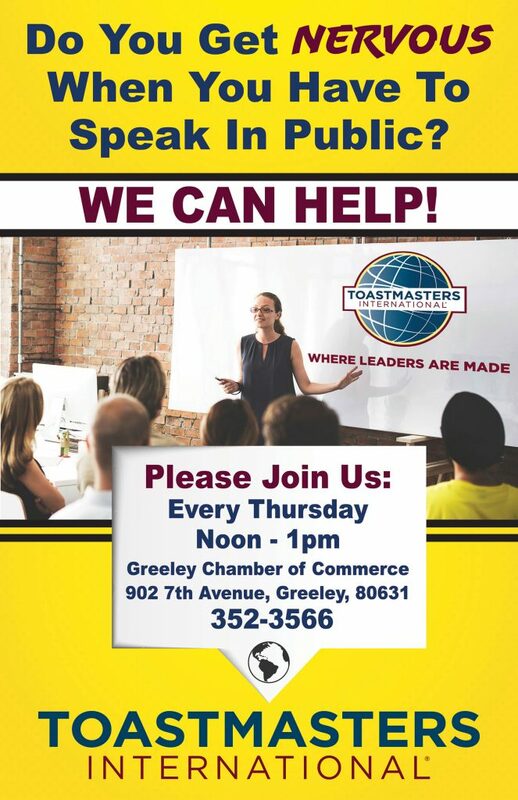 Join the Greeley Noon Toastmasters every Thursday at noon at the Greeley Chamber of Commerce. They provide a supportive and positive learning experience to help empower and develop communication and leadership skills.